PERFECT COMBINATION OF QUALITY, CONDITION & SPACE.Custom Kitchen by Kitchen Concepts: Granite counters, pull-outs, Dbl sink, Breakfast bar and all appliances. Trex deck, 16 x 13, overlooks Landscaped & Fenced backyard w/ 36x16 In-Ground Pool. Unique attic storage elevator in hall. Hi-Efficiency Gas Furnace 2009. 50 Gal HWH 2012. © 2019 Greater Binghamton Association of Realtors. All rights reserved. Information deemed to be reliable but not guaranteed. 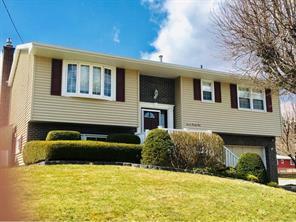 The data relating to real estate for sale on this website comes from Greater Binghamton Association of Realtors and the Broker Reciprocity Program.sm. 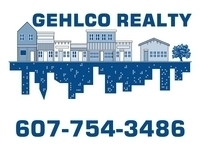 Real estate listings held by brokerage firms other than Gehlco Realty are marked with the BR logo and detailed information about them includes the name of the listing brokers. All measurements and all calculations of area (i.e., Sq Ft and Acreage) are approximate. Listing broker has attempted to offer accurate data, but buyers are advised to confirm all items. Information last updated on 2019-04-21.